Our product range includes a wide range of geared lathe machine, gear lathe machine, geared head lathe machine, light duty all gear lathe machine, medium duty all geared lathe machine and heavy duty all geared lathe machine. 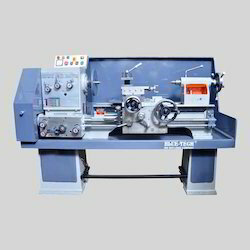 This Geared Lathe Machine, manufactured by us is known for its highly economical nature and low energy consumption. This product has a rapid feed structure and the spindle system is highly rigid and accurate. We are considered as one of the leading manufacturers, exporters, and suppliers of this product, and we never compromise with the quality. Thus our production process involves using high quality raw materials and a number of advanced machinery. Post production, this product is sent for a number of quality checks. With a sturdy construction and high level of efficiency, this Gear Lathe Machine provided by us is much popular in the market. This product is used for the purpose of making threads. Manufactured using high quality raw materials and a number of quality checks, these products have a long operational life. These products are further processed through a number of quality checks in order to maintain the quality standards. 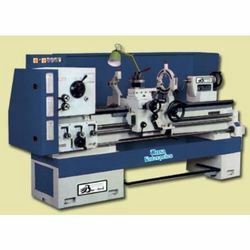 Owing to our state of the art infrastructure and highly trusted vendors, who provide us quality raw materials, we manufacture the best quality Geared Head Lathe Machine. These products are used in various industries for several purposes. We provide this product in the market in various specifications as per the requirements of the clients. High quality and competitive pricing of these products make them much popular in the market. 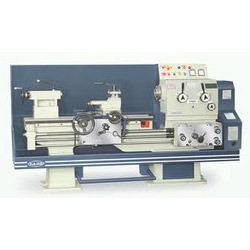 Looking for All Gear Lathe Machine ?